Why are 2D games called like that? Well, 2D means that everything in the game is 2D, and your movement is limited to 2 dimensions; you can either go horizontal or vertical. These games were popular in the mid-90s, as the graphical capabilities of the computers were not that great. However, the developers are still working on these games, and we have a bunch of great-looking 2D games, which are not only great-looking but satisfying to play and challenging at the same time. While 2D isn’t a distinct genre, we are going to count the 20 best 2D games for PC, of every genre, ranging from puzzle and platformer to fighting. 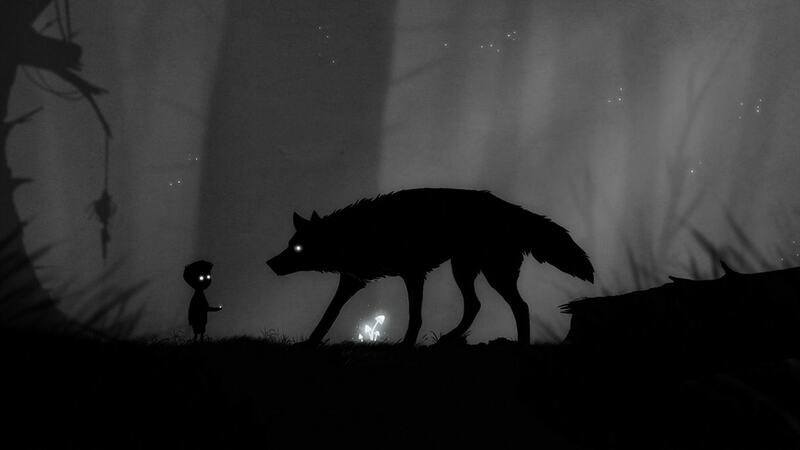 Below are the 20 best 2D games for PC. Cuphead is probably the best 2D game you can play right now, and it’s one of the rare 2D games that were very well praised and even received 10/10 from some reviewers. 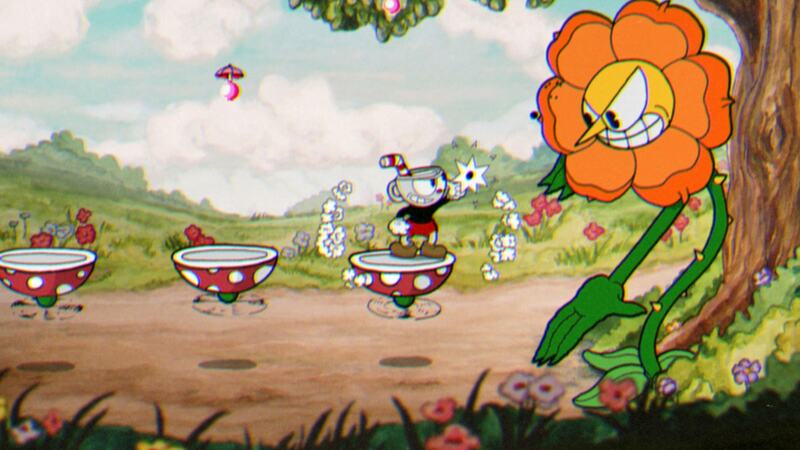 Cuphead is a nerve-wracking, explosive and fast-paced run-and-gun game, that draws the inspiration from the 1930’s cartoons. You are a Cuphead, who has the power to shoot from his finger, and you’ll run and gun enemies, and bosses that will make do their best to ruin your life, and take more than twenty tries to beat them. If you want, you can play it with your friends in two-player mode, but the game is still very hard. So, if you like a fast-paced gameplay, cartoonish graphics, and great shooting mechanics combined with platformer elements, then Cuphead is for you. Just please don’t blame me if you break your keyboard while playing Cuphead. Unlike Cuphead, Mark of the Ninja boasts a slightly laid-back approach, where you’ll need to use the shadows to your advantage in order to beat the level. 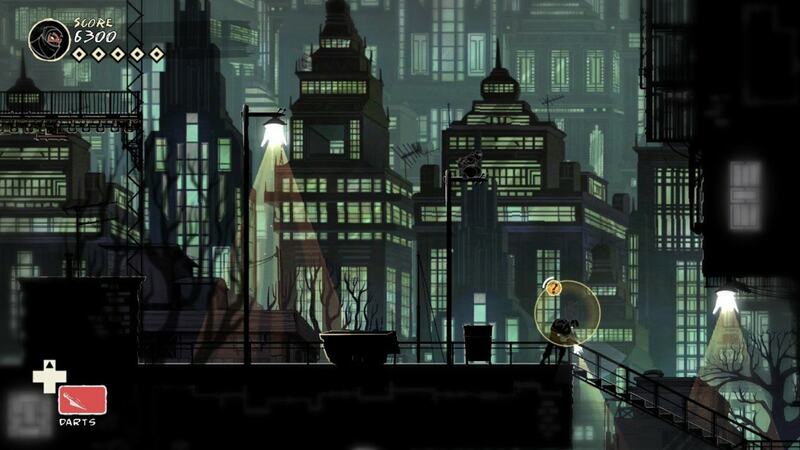 Mark of the Ninja is all about that stealth and utilizing the environment. Sure, you can fight, but who will win, a person with melee weapons or the one with a gun? Also, there are some great action sequences and something like quick-time events, especially near the end of the game, where you are trapped in catacombs, and need to evade traps, soldiers and cameras to complete the level. The game is very hard to beat, and it’s just for 2D lovers, as well as fans of a great stealth game for pc. 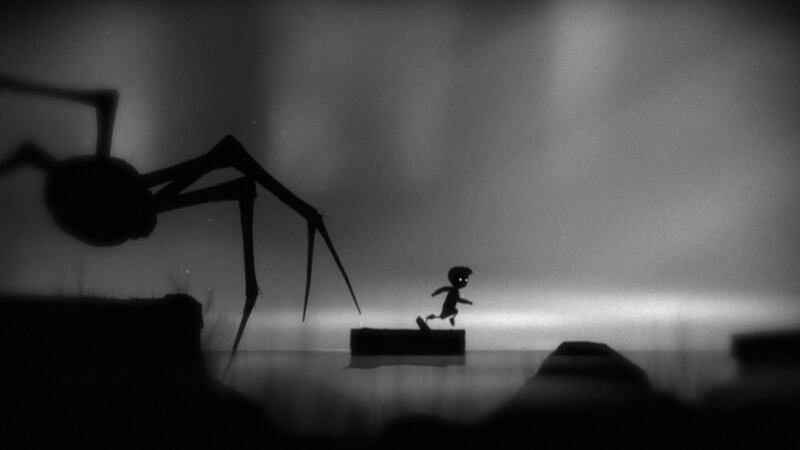 Limbo is both a great and a terrifying experience. You are in a role of an unnamed boy who is in search for his sister, in this black and white, misanthropic and melancholic world, that will teach you what the real darkness is. Here, you’ll be introduced to a great puzzle and platformer elements, as you navigate through the levels and escape the enemies, like that disgusting, terrifying and spooky spider that scared the hell out of me when I played it. It will not impress you with its high-detailed graphics, but I’m sure you’ll like the overall feeling and atmosphere in this game, that will haunt you for months after you play it. 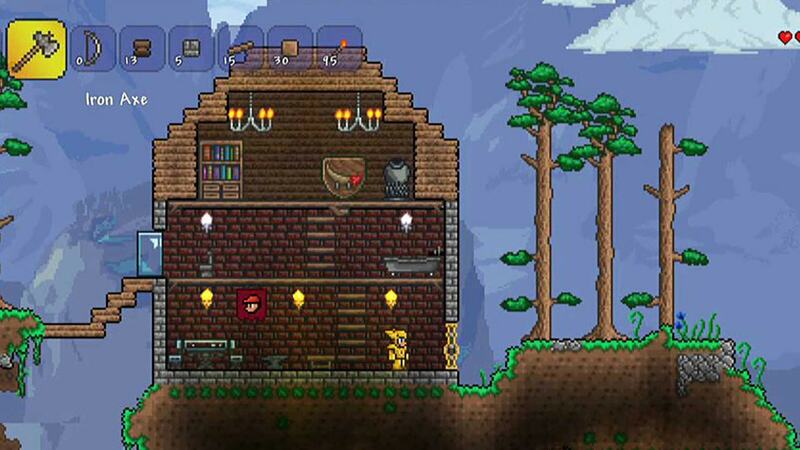 Terraria boasts a similar graphics to legendary Super Mario series, but it’s a different game from that. Here, you need to expect a solid adventure game, with some action sequences. The world is procedurally generated, which means that you’ll encounter a different set of enemies and obstacles every time you die, or turn the game off and then play it again. Aside from a great combat, in Terraria, you can craft, and defeat bosses in some areas of the game, attracting the NPCs to guard that area after you’ve beaten the boss. Terraria is much more than a simple 2D game for PC; it’s a great way to have fun, and I’m sure you’ll play it a lot if you try it. In this game, you’ll attempt to rescue a princess from a monster, but wait for a second… that sounds familiar to you? I’m sure that sounds familiar if you’ve played Super Mario, but here, I’m talking about Braid, which is a great 2D game. 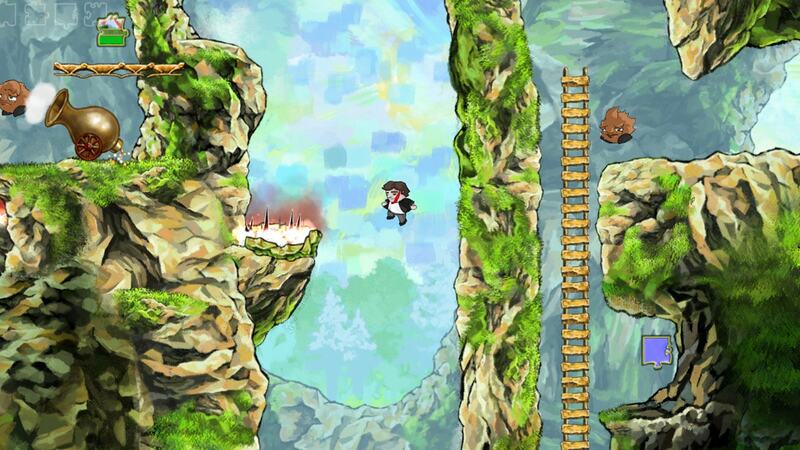 Unlike Mario, Braid isn’t an action game, and it takes a different approach to puzzle solving. Here, you’ll need to solve various jigsaw puzzles in order to proceed, and you’ll do that by collecting the pieces first and then assemble it. With the game’s great artwork and graphics, Braid quickly became one of the most popular 2D games, which you’ll love the second you start playing it. 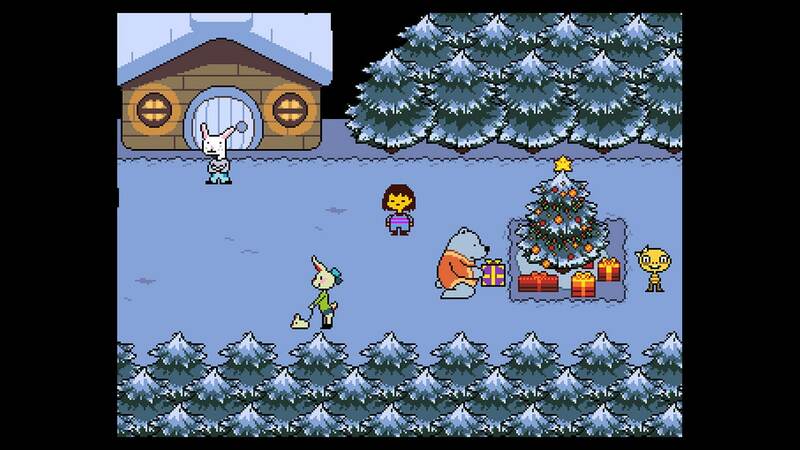 Undertale is a game, that will stay in your memory for very long time, after you finish it and IF you finish it, because it’s very hard to beat. In this game, you’ll fight various monsters, but in the style of the old-school 8-bit graphics and sound design, that will not amaze you but will let your imagination work. The game is also a strong RPG contender, as you still have to engage in conversations, loot and make important decisions that will affect the flow and the end of the game. The ending is satisfying, and if you played like me (won’t spoil you anything), you’ll fight against Flowey in the end, which will make you sweat and get nervous. It’s so damn hard to beat, but terrifying at the same time! 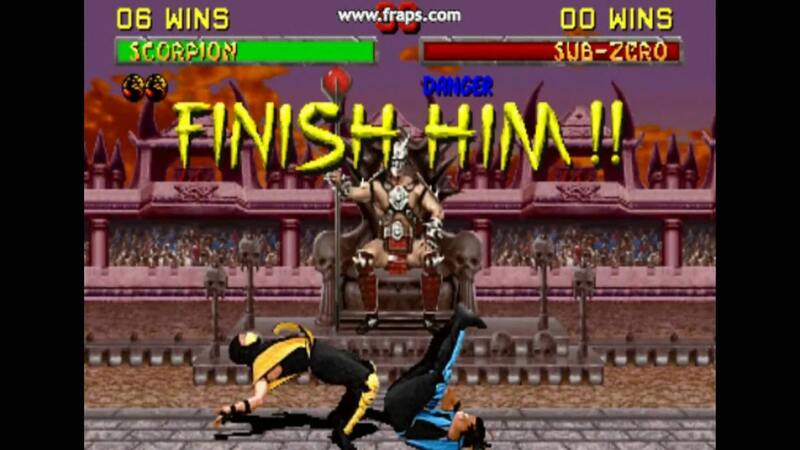 Although it’s released in 1993, Mortal Kombat is still an untouchable fighting game for pc. The graphics were great at the time, and that blood, gore, and violence were never seen before in a video game. Our heroes like Scorpion, Sonya, Sub-Zero, Liu Kang, Kano and Shang Tsung are more powerful and brutal than ever. You’ll fight to the death here, using the great fatality mechanics, that usually require pressing several buttons in a particular order to execute them. So if you have a strong stomach, and want a brutal fighting experience, prepare to chop off heads, rip spines and kick your enemies down into the pit to impale them. Wait, DOOM is a 2D game? I must be joking, you think? No, I am NOT joking. I can’t explain to you why DOOM is a 2D game because it will take me long to do it, but it is a 2D game, and a HELL of a game, literally. 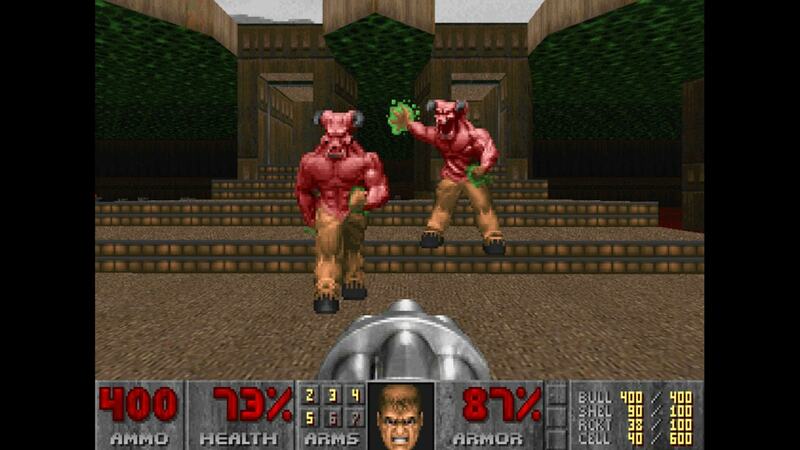 This old-school DOOM is one of the best shooters ever, and this is the game that popularized FPS genre. Here, you’ll wage war against demons, that will test your patience and reflexes in this nerve-wracking action game, that was never seen before at the time. Prepare your weapons and load your shotgun, and let’s blow the heads of the demons! 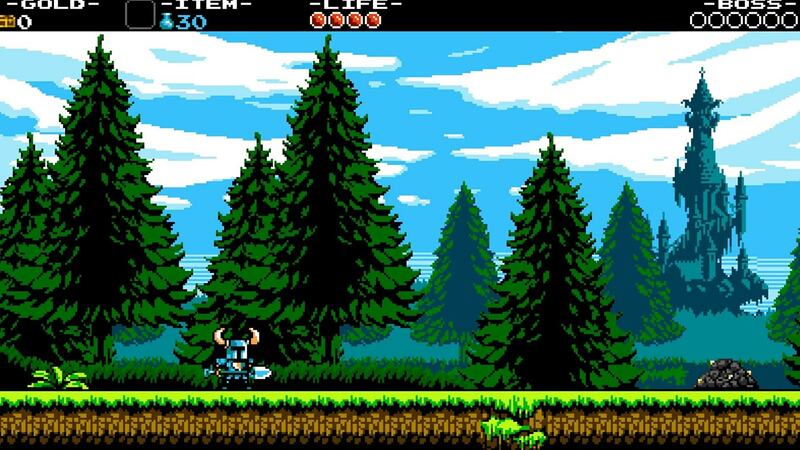 Shovel Knight draws the inspiration from the old-school side-scrolling games, boasting that graphics that lies between 8-bit and 16-bit. It’s a simple game, in which you’ll use the shovel as your main weapon, in order to attack the enemies and dig gold from the ground. As the game boasts a semi-open world, you’ll have a world map, in which you can select and complete main and side quests and defeat bosses in order to navigate through the game. It’s a simple, yet effective in its execution, and offers tons of fun. The Cave is much more than your ordinary 2D game. It’s an adventure game for pc, that combines puzzle and platforming sections, that will challenge your brain and your reflexes. 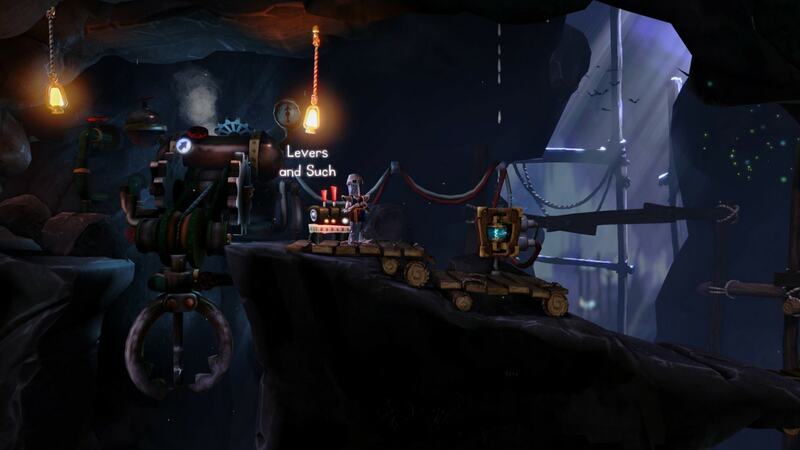 It’s set in the Cave, which is sort of maze, in which player has to navigate, solve puzzles and do some platforming in order to “learn something”. Also, the game looks really amazing for a 2D game, and I can say that is’ one of the prettiest 2D games for PC I’ve ever seen. In real life, Spelunker is a man who explores the caves for various treasure, and Spelunky is all about that. Sounds simple, but hey, Spelunky is a great 2D game for PC, and being an open-source game, it’s FREE. Great news, right? In Spelunky, you won’t just go from point A to B, as there are various traps and enemies that you’ll need to dodge in order to get to your treasure and save the damsel. Its graphics aren’t impressive, and it’s not even a point in these types of games. 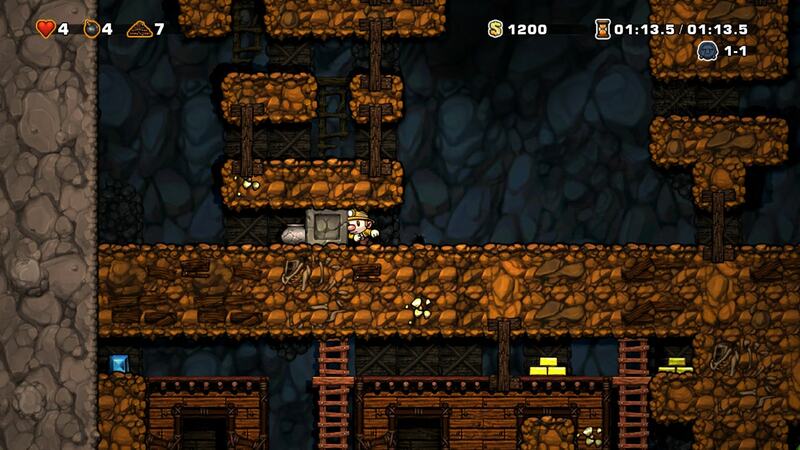 Nevertheless, Spelunky is a great platformer, that will make you think about every move you make. Hollow Knight amazed me with its story, the first time I played it. It’s so strange to see a 2D game, with such compelling and detailed story. 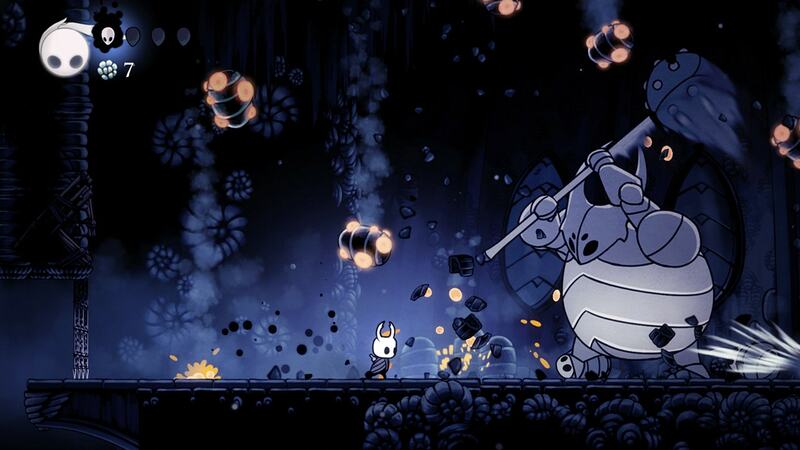 Aside from the cartoonish graphics, Hollow Knight boasts a smooth gameplay and a great fighting mechanics as you explore an abandoned kingdom of Hallownest. As you venture into the depth of the kingdom, you’ll meet enemies that aren’t that friendly and bosses that will not forgive a single mistake you make. 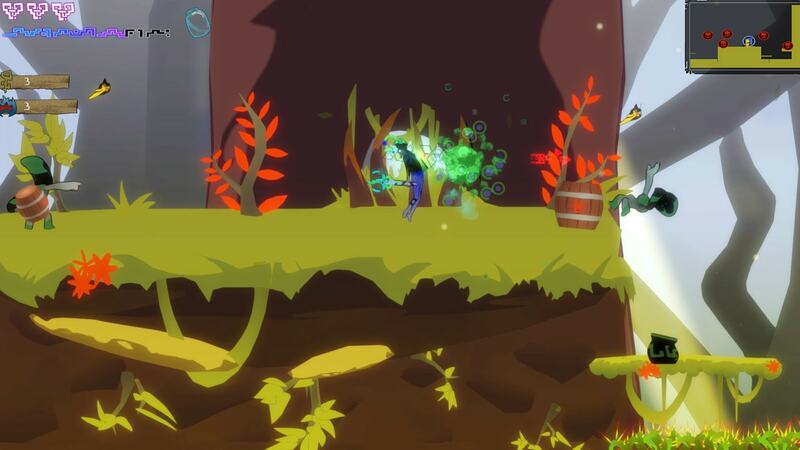 So, grab your Knight’s nail and fight to survive in this epic Metroidvania adventure game. 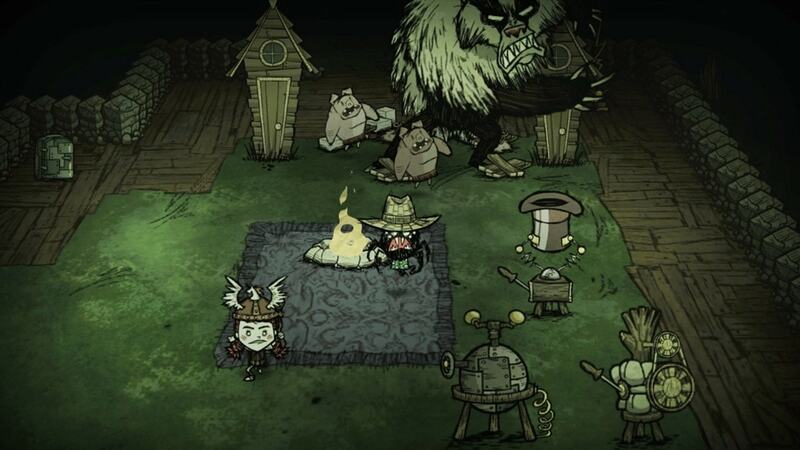 While the game isn’t just about starving, or not starving, Don’t Starve Together is a game where you’ll need to survive in a brutal, harsh and dark world of the game. This is an expansion for Don’t Starve, and it includes all of the features of the singleplayer edition, but now you can play multiplayer and starve or don’t starve with your friends. It’s an open-world game, where you are thrown into the procedurally generated world, and need to survive for as long as possible using point & click combat mechanics and keyboard to control the other activities. 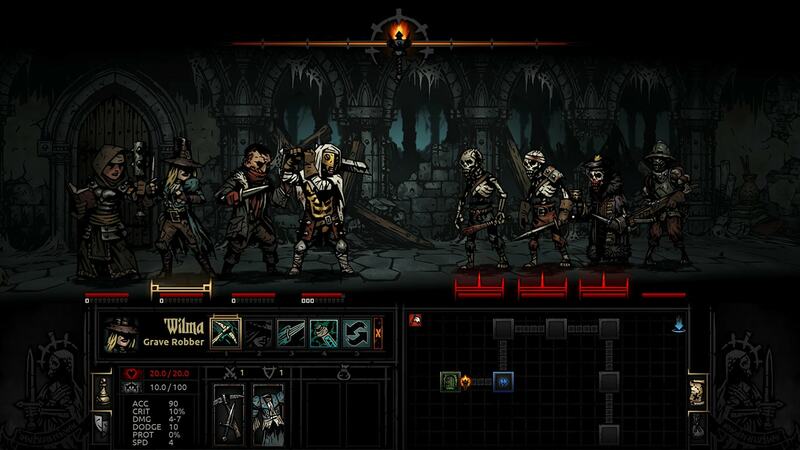 Darkest Dungeon is a great 2D game for PC, and it’s a turn-based game, mixed with real-time events. The point here is to crawl through the dungeon below a gothic mansion, and then explore the dark and dangerous underground. You have several heroes that you control, and the crucial point here is their stress levels, which have an impact on overall performance in combat and exploration. It isn’t a simple game for sure, but it provides the player with lots of fun moments and solid visuals for the game of this type. 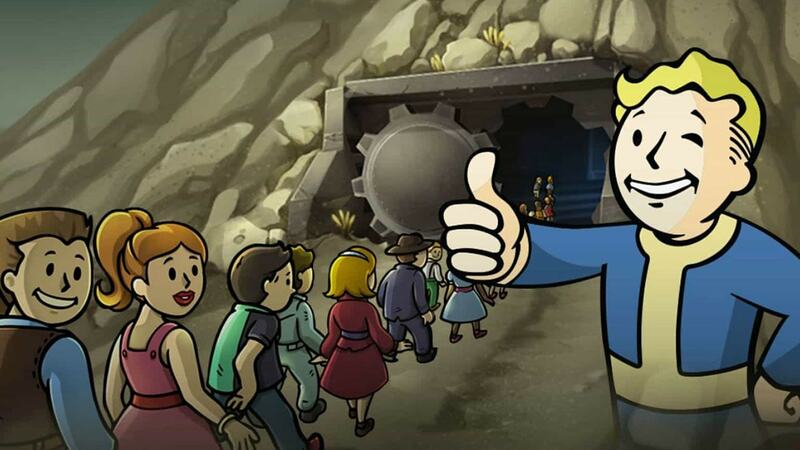 Although Fallout Shelter has a word Fallout in its name, it doesn’t mean that it looks that good, but it’s equally as fun, but in another way. Fallout Shelter embraces a different approach to the gameplay, so you’ll spend your time around your shelter, by upgrading it, buying stuff for your home, engaging in dialogues and protect it from the attackers. It’s a more patient game, with a cartoonish artwork, that looks appropriate and feels great here. You can also get the game for Android platform, and expand your field of play, which is great to know. Dead Cells brings back that old-school 2D fighting, that we all love. Its graphics look phenomenal for the game, and having in mind that the game is in early access, I mean… wow! It plays very smoothly, and the combat is satisfying, to the point where you’ll want to kill the enemies more and more. But, be careful because there are those bosses that are unforgiving, and will punish every mistake you make. 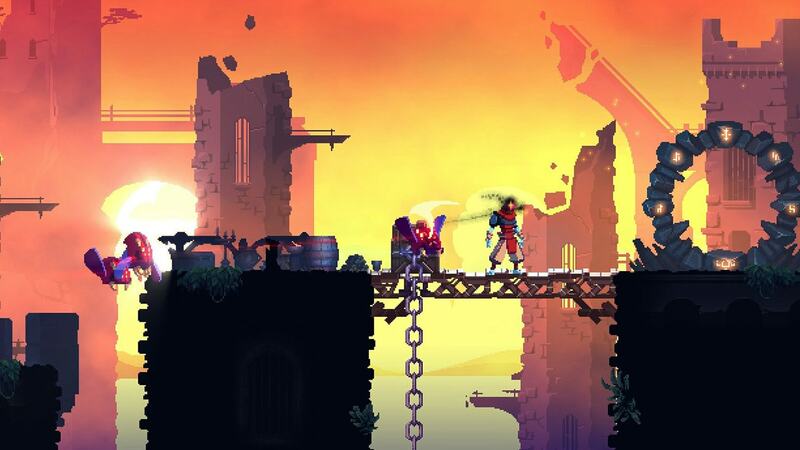 Dead Cells will sure offer you around 15 hours of playing on your first playthrough, and that’s a huge number for a 2D game. It’s not free, but it’s tons of fun, and I highly recommend it. 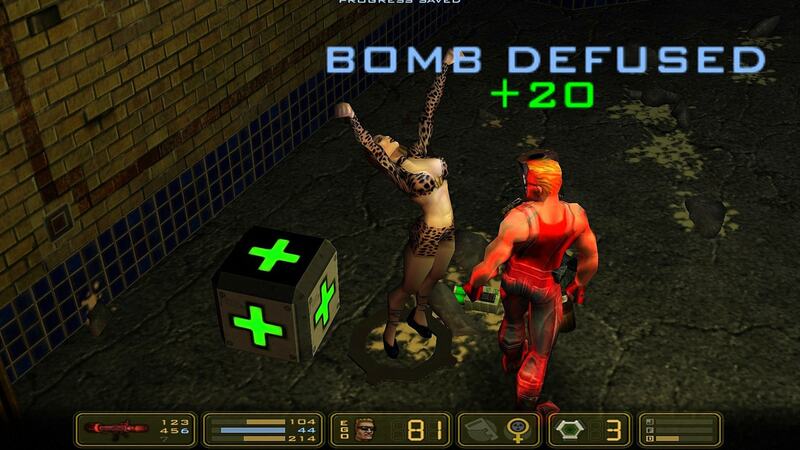 Duke Nukem is a legendary character. His one-liners and his humor are always the main things in the Duke Nukem games, and now Duke Nukem: Manhattan Project is here. Sure, the rendering isn’t 2D, but the gameplay IS 2D, so the game is sort of 2.5D. It’s all about killing those annoying police pigs and do some platforming, and a little bit of puzzle solving. The game does an excellent job of providing the players with an explosive and fast action, using a variety of weapons from a pistol, shotgun, and machine gun, to bazookas and grenades. It’s an old-school game, but it’s damn fun to play! It sure as hell sounds cool to play as a demigod, and now you can do that in Ascendant, which is a great “beat ’em up” 2D game for PC. The combat is great here, and you’ll be happy to see that it’s not all about the combat here. In Ascendant, you’ll wield various mighty weapons, discover Blessings to determine your fate, and learn how to use spells in order to survive in the game. It’s a fine 2D PC game, with solid visuals, and you can get it for just a couple of dollars. 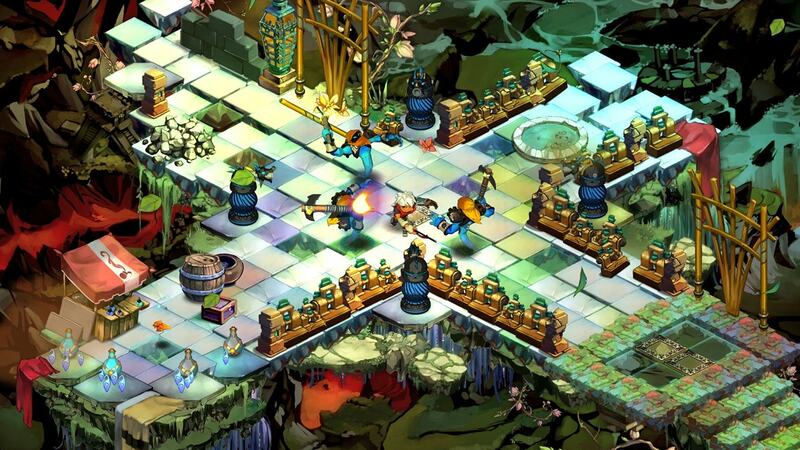 Bastion is great at combining the great fighting elements with a top-down view of a beautiful, fantasy-based world in the game. It’s a colorful game and looks very good for a game of this type. Bastion also introduces strong RPG elements, where you can buy the weapons and items and upgrade them with the fragments that you collect through the game. The cores are also an in-game currency, so you can use them to add some section to the Bastion like armory or shrine. Bastion might look like a simple 2D game on the surface, but it’s a very challenging game to play, which will only bring you a pleasure after you finish it. 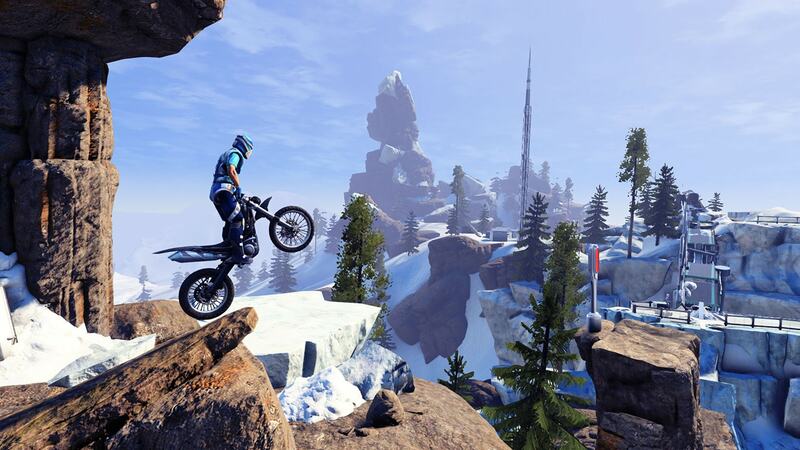 Trials Fusion is a platform racing game for pc, where you will use your motorbike in order to race through the harsh levels of motorcycle trials. If you wondered, this is a real-life sport, and it’s bloody hard to master. However, the game takes an arcade approach to this, allowing you to still somehow breathe, although the levels are VERY hard to beat, especially near the end of the game. What can I say? But truely speaking, even if the game looks 2D it is not actually. It’s gameplay make us think that it’s a 2D game. I’ve begun the list with a very hard game, and now I will finish it with even harder one. Those are my two cents on best 2D games for PC. What is your favorite 2D game?